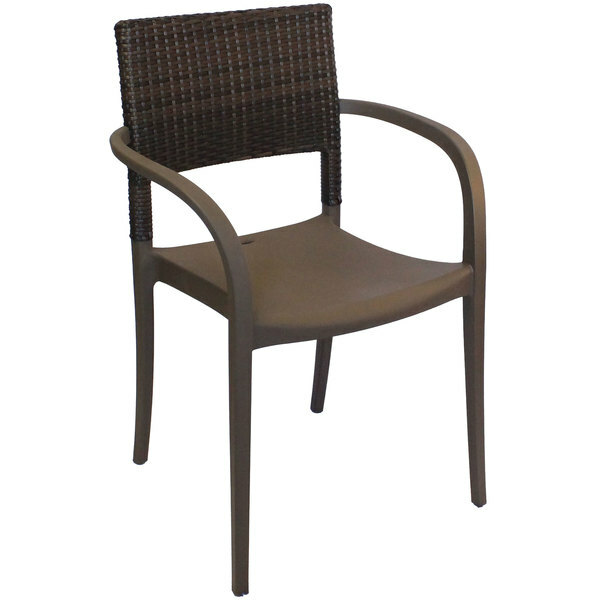 A great addition to your outdoor patio or deck, this chair is UV resistant to ensure its attractive bronze color won't fade from exposure to direct sunlight. Plus, its impressive 300 lb. capacity ensures years of reliable use in your establishment. Add this sturdy, stylish chair to your restaurant, bistro, or bar and ensure guests comfortably enjoy their dining experience!